Maryland Gov. Larry Hogan has offered to spend up to $100 million to settle a 12-year-long lawsuit brought on by a coalition of the state’s four historically Black colleges concerning inequality in higher education. 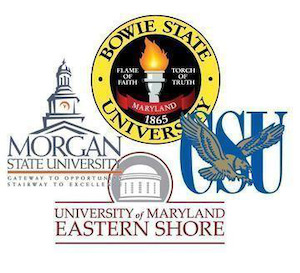 Hogan’s proposal came Wednesday in a letter from the governor’s chief legal counsel, Robert F. Scholz, a day after Judge Catherine C. Blake granted the state a temporary reprieve while it appeals a November order calling for the establishment of distinctive, high-demand programs at the state’s HBCUs – Morgan State University, Coppin State University, Bowie State University and the Univ. of Maryland Eastern Shore. The Lawyers’ Committee for Civil Rights Under Law, one of several legal partners representing the Coalition for Equity and Excellence in Maryland Higher Education, said the financial offer is a step forward but it “does not respond to the detailed remedial plan” at the heart of the order issued by Judge Blake in November. The case, The Coalition for Equity and Excellence in Maryland Higher Education vs. Maryland Higher Education Commission, was filed in 2006 by the state’s HBCU alumni. They alleged that Maryland has perpetuated segregation in higher education by insufficiently funding the schools and by allowing predominantly White institutions (PWIs) to duplicate highly attractive programs in place at the HBCUs.